Weird Things » Blog Archive » Who Wants To Hear About Leading Edge Bigfoot Research? Come To The Sasquatch Summit! Who Wants To Hear About Leading Edge Bigfoot Research? Come To The Sasquatch Summit! 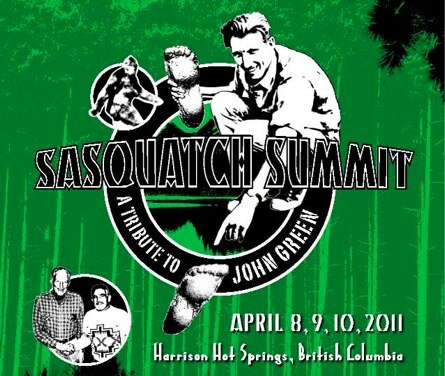 The greatest minds in Sasquatch research will gather in British Columbia this April to best asses where we are in the long hunt for the crypto creature and to honor those who have done significant work in the field to track down and identify the elusive beast. Tickets are running at $80 for the conference at Harrison Hot Springs, BC. We very much wonder what kind of information can be gathered when so many who have searched so long of Sasquatch are put in the same room. At the very least there has to be some awesome stories about creative living in the forrest during stake outs. And possibly a great recipe for baked beans cooked over a campfire. What would you hope to get out of the Sasquatch Summit? They need a new logo. It should be a picture of a dude wrestling with a Bigfoot. Maybe the Bigfoot is weilding a chain as a weapon and the dude is reaching for a knife that’s tucked into his boot. Y’know, something that will attract the kids.